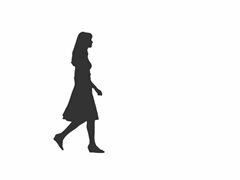 I am filming a short 90 second short film, where we need a scene of a woman walking towards the main character but continuing to walk away, with the main character realising he was only dreaming, then sees the real person he is supposed to be meeting, his catfish. From the 12th December on the 13th, 15th or 16th. The role involves a woman walking towards the main character, making eye contact in a provocative way, however ignores him and continues to walk away.